The following is a description of the different divisions that are offered by Sledge Hockey Manitoba. If you are unsure which division is right for you or your child, please contact Bill Muloin. The Novice Division provides programming for youth who are 14 years old or younger. 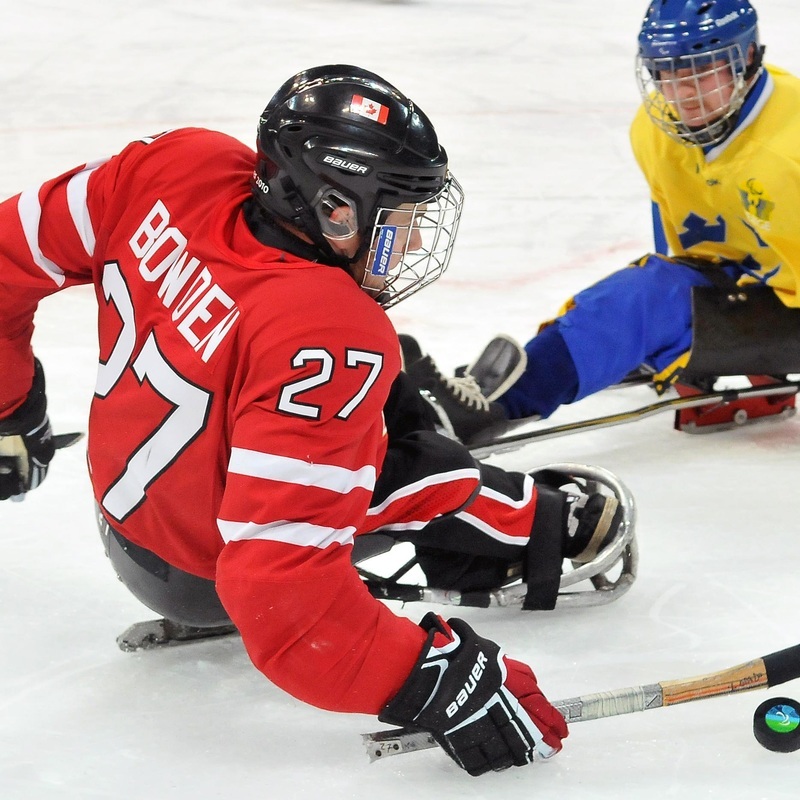 The youth will be coached and mentored on the basic skills of sledge hockey and will have the opportunity to participate in practices and inter-squad games. The Intermediate Division is geared towards participants who are 14 years old or older, and is the entry level for all participants who start playing sledge hockey. Participants will focus on basic skills, as well as basic hockey plays as they learn to play the sport. The Advanced Division is open to athletes who have shown significant skill and hockey knowledge that is required to play at a high level. Senior level players will focus on specific hockey plays and strategies. Since its debut at the Lillehammer 1994 Winter Games, the Paralympic version of ice hockey has quickly become one of the largest attractions for spectators. It is fast-paced, highly physical and played by male and female athletes with a physical impairment in the lower part of the body. The sport is governed by the IPC with co-ordination by the IPC Ice Hockey Technical Committee. As in ice hockey, each team attempts to outscore its opponent by shooting the puck across the ice and into the opposing team's goal while preventing the opposing team from scoring. Six players (including the goalkeeper) from each team are on the ice at one time. Double-blade sledges that allow the puck to pass underneath replace skates, and the players use sticks with a spike-end and a blade-end. Therefore, with a quick flip of the wrist, the players are able to propel themselves using the spikes and then play the puck using the blade-end of the sticks. A player may use two sticks with blades in order to facilitate stick handling and ambidextrous shooting. 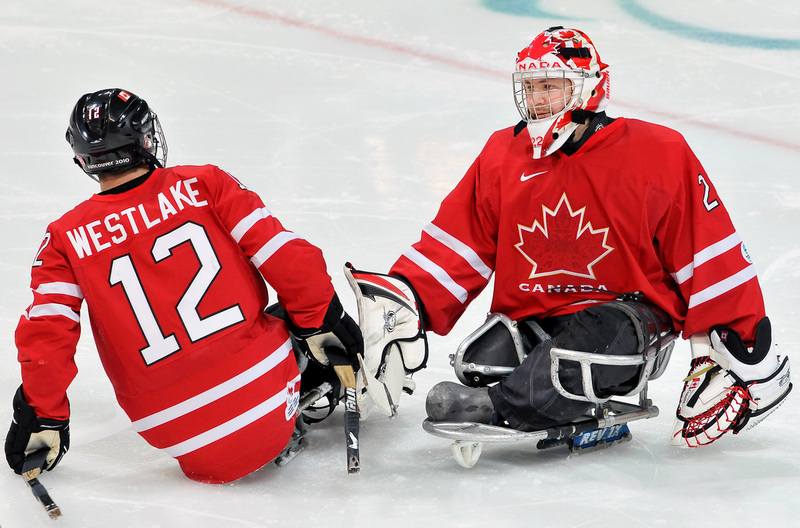 Ice sledge hockey games consist of three 15-minute periods. 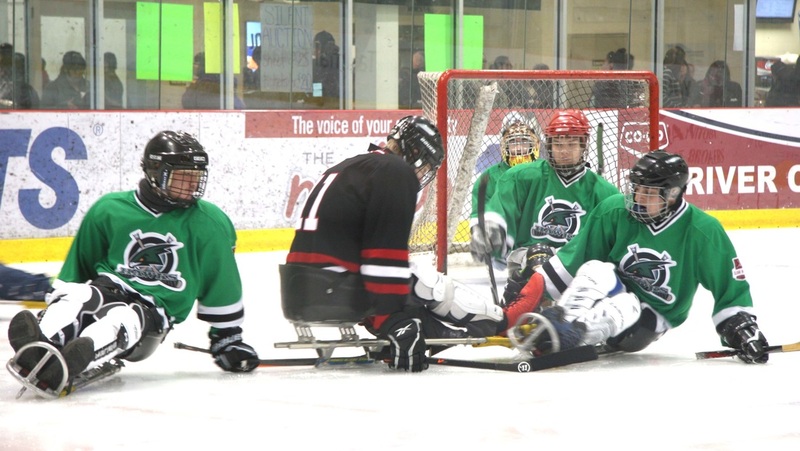 Currently there are three National level programs in Canada for sledge hockey. First, there is Hockey Canada's National Team, which travels to the Paralympic Games and to World Championships. Hockey Canada also has a National Development Team, which has seen three Manitoba athletes participate in that program. Lastly, there is a Women's National Team, which is working to develop the female aspect of the sport. To learn more about these programs, please click the links below. Sledge Hockey is currently run through various partnerships, including with the Society for Manitobans with Disabilities (SMD), Sport Manitoba, Hockey Manitoba, etc. While SMD provides the recreational piece to our sport in Manitoba, there was a need to create an advisory committee to focus on other aspects of the sport, including fundraising and competitive opportunities. If you are interested in participating on this Advisory Committee, please email sledgehockeymanitoba@gmail.com.